Firetrust Limited, provider of award-winning anti-spam and email security solutions, today announced the latest release of MailWasher® Pro 3.4, a uniquely designed anti-spam tool that provides additional protection for businesses and home users from unsolicited and unwanted emails. Two key features in the new version are Quick Reply and Restore Email, providing users with better security and streamlined functionality. Despite the U.S. federal CAN-SPAM Act that went into effect on January 1, the flood of email spam will continue to invade and harm email users around the globe. The ever-increasing rise in spam has prompted both business users and consumers to desperately find a solution that can keep pace with spam as it rapidly evolves. MailWasher Pro’s features meets this demand by protecting individuals and businesses from scams that trick individuals into giving up credit card, bank account and other personal information, while ensuring delivery of personal and opt-in e-mail. MailWasher Pro 3.4, Firetrust’s next generation of award-winning anti-spam software, has evolved to a more intuitive, convenient and easy-to-use tool by providing a better email experience to users with the addition of the Quick Reply and Restore Email functions. These new features will enhance and insure the security functionality introduced in MailWasher Pro: A Quick Reply button (hot key Q or button in Preview pane/window). When clicked this feature launches a 'new email' using the default mail client allowing users to create quick replies to messages in the MailWasher Pro grid. Restore email function has been added to the 'Summary' screen. Now users can restore deleted emails (limited to the size they were downloaded, i.e. 20 lines, 200 lines etc). MailWasher Pro provides the easiest-to-use and most effective spam filter available. Unlike other anti-spam solutions, which are integrated into the e-mail client, MailWasher Pro works outside the e-mail client, so users benefit from its powerful protection without downloading unwanted messages or viruses. Users can preview, delete, blacklist and even create an “invalid email address” message and send it back to the spammer making it appear that their e-mail address no longer exists. Presently, MailWasher Pro is available on stand-alone PCs and laptops. An enterprise version of MailWasher Pro for use on server networks is currently available as a beta version. MailWasher Pro is now available as a download from Firetrust’s website at www.firetrust.com. 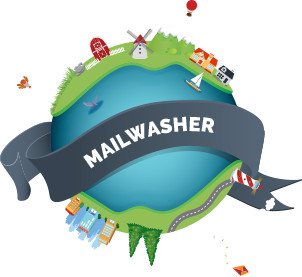 MailWasher Pro is priced at $29.95 for a single user-license with discounts available for volume licensing. A free 30-day trial version can also be downloaded from the site. MailWasher Pro minimum system requirements include Microsoft Windows 98, Me, NT, 2000 and XP operating systems. It is compatible with all pop3 e-mail programs, including, Microsoft Outlook™ and Outlook Express, Netscape and Eudora; AOL, IMAP, MSN and Hotmail e-mail accounts. Established in 2000, Firetrust provides world-class e-mail security products for business and home users. Firetrust delivers solutions across the spectrum of inbox protection, including MailWasher Pro for unsolicited commercial e-mail (spam) and Benign to neutralize harmful e-mail which can contain viruses, worms, scripts and web bugs. The company is privately held and headquartered in Christchurch, New Zealand. To date MailWasher has had more than 3 million downloads. For more information, please visit www.firetrust.com.